countries in the continent are implementing strategies to overcome developmental and societal challenges to remain competitive in the new global knowledge-based economy, libraries and archives can play an important role in this process through provision of information. Information in modern society is valued as an essential component in the daily lives of people, both at individual and organisational levels. Increasingly, we expect information to meet our needs through technological interventions or interactions. Indeed, recent technological developments have accentuated contemporary conceptions of the library and information field as an intersection of information, technology, people and society. This volume explores the opportunities and challenges encountered in the practice of contemporary libraries, archives and records management in the digital age. It cannot be overemphasized that the traditional traits and practices of libraries, archives and records management are constantly changing given the increased use of Information and Communication Technologies (ICTs) in the different information management value chains. 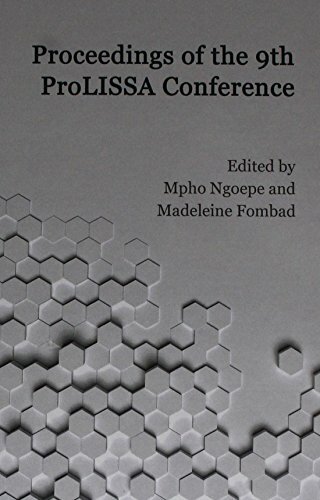 This book will serve as a premier reference source for organisations in both private and public sectors, researchers, information practitioners in industry, and postgraduate students in information management.